Home » Jake’s Take: Thank you, American Idol! Jake’s Take: Thank you, American Idol! Tonight, American Idol will air its final episode. The FOX singing juggernaut has been a part of my life since I was an eighth-grader at Oxford Middle School in Overland Park, Kansas. Ok, I missed the great Kelly versus Justin battle during the summer of 2002, but thanks to my mother, Gloria Elyachar, I was hooked on the show’s sophomore season. I remember watching talented young artists tackle iconic songs as a Rolodex of music legends such as Gladys Knight, Olivia Newton-John, Smokey Robinson, Lionel Richie, Robin Gibb and Diane Warren joined Idol’s holy trinity (Randy Jackson, Paula Abdul and Simon Cowell) at the desk offering their feedback. Of the 12 singers that made it to the Live Rounds, I gravitated to the velvet teddy bear known as Ruben Studdard; the lovely law student turned singer Kimberley Locke, the fiery Trenyce and the impeccable vocalist known as Clay Aiken. Each of them delivered powerful performances that received praise from Idol’s holy trinity and votes from the American public. Eventually, it came down to the neck-and-neck race known as Ruben versus Clay. That finale was one of my favorite memories in the show’s history. Between Ruben’s “Flying Without Wings” and Clay’s magical moment with “Bridge Over Troubled Water,” I knew that any male singer that would audition for the show had higher standards that viewers would judge in future seasons. When I entered Blue Valley Northwest High School as a freshman, I bonded with my classmates as we talked about last night’s episode of Idol. I remember the heated debates about Jennifer Hudson and Chris Daughtry’s shocking eliminations, why Bo Bice was much better than Carrie Underwood and why it took so long to eliminate Sanjaya from the show. In addition, we also talked about Elton John’s declarations on Fantasia and Jennifer Hudson being the best singers in the Season 3 cast; Elliott Yamin and Katharine McPhee’s moving moments with Stevie Wonder, Andrea Bocelli, and David Foster respectfully and how angry we were when Season Six’s Melinda Doolittle (after impressing music heavyweights such as Diana Ross, Tony Bennett, Lulu, Gwen Stefani and Barry Gibb) came in third place. After I had graduated from Blue Valley Northwest, I moved westward to the University of Colorado at Boulder. While I took a study break from my pre-journalism courses, I watched the Season Seven’s Battle of the Davids and called home to talk shop with my mom promptly the next day. But, like life…the show I came to love started to change. It began with the departure of the heart of the show (Paula) and then followed by the departure of Idol’s cruel and callous brain (Simon) a year later. I still remember watching Simon’s final episode and trying hard not to cry when Paula walked onto the Nokia Theatre stage or when my favorite alums performed a moving cover of Delta Goodrem’s “Together We Are One” or during Simon’s farewell speech. As new judges Jennifer Lopez and Steven Tyler (later Keith Urban and Harry Connick, Jr.-who replaced the Dawg in Season 13) joined Ryan and Randy in ushering the FOX singing competition into a new era, I also entered a new chapter in my life as a college graduate. As I was filling out job applications and sending demo reels to smaller news markets, I decided that I needed a platform to express my views on pop culture and make sure that Michael Slezak had competition when it came to reviewing shows such as American Idol. Jake’s Take’s American Idol recaps and reviews reached the masses, and I remain grateful for anyone who has read them and continues to read my recaps for America’s Got Talent, Once Upon A Time and The Voice USA. It also opened the door for opportunities, I never thought would exist. This year alone, I have interviewed some of my favorite Idol alums including Haley Reinhart, Rayvon Owen and two artists who have become friends-of-the-blog: Jessica Sanchez and Clark Beckham. But, nothing could top what happened to me a few weeks ago when I visited LA. 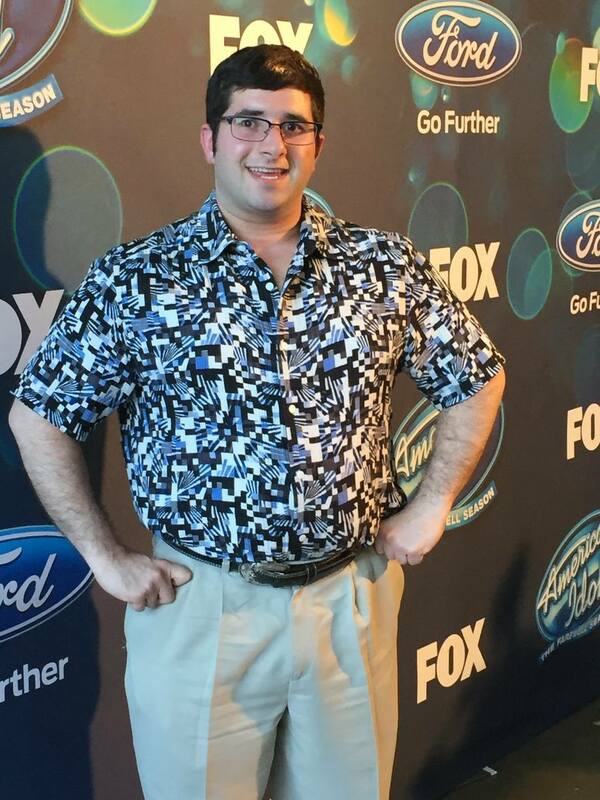 When I first heard that Idol was renewed for one final season, I had to be at the CBS Television City complex to interview the American Idol talent and contestants. After months of back-and-forth e-mails between myself and FOX Publicity, I was invited to view the show with my fellow media professionals during Top 4 Week. As I walked onto the legendary entertainment complex, it was hard to contain my excitement, to say the least. I was grateful for not only the opportunity to meet with colleagues but also to interview the final Idol Top Five (La’Porsha Renae, Trent Harmon, Dalton Rapattoni, MacKenzie Bourg & Sonika Vaid). While La’Porsha and Trent wait on pins and needles to see if they are going to be the bookend to Kelly Clarkson, I want to give hearty congratulations to the American Idol crew for an outstanding 15-year run. I want to thank everyone from the Production Assistants and Stage Manager Debbie Williams to Ryan Seacrest, Michael Orland, Rickey Minor, the Idol Band and Executive Producers Simon Fuller, Cecile Frot-Coutaz, Trish Kinane, Nigel Lythgoe and Ken Warwick. 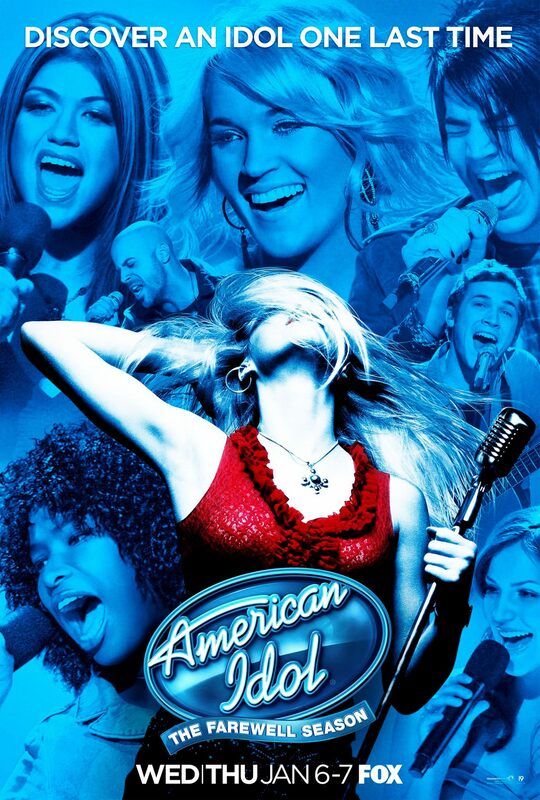 Because of your efforts, American Idol will always be remembered as one of the greatest shows in TV history. To the judges and mentors of present and past, although we had our disagreements regarding talent, you have done a phenomenal job turning regular people into household names. Finally, to all of the contestants who have performed on the Idol stage, thank you for entertaining the world and inspiring millions around the world to pursue their dreams. We speak your name, American Idol! We speak your name! I do not own the “Together We Are One” clip. It belongs to FOX, FremantleMedia North America & 19 Entertainment.